Well that was a lot of fun. I really enjoyed painting this miniature for a number of reasons. 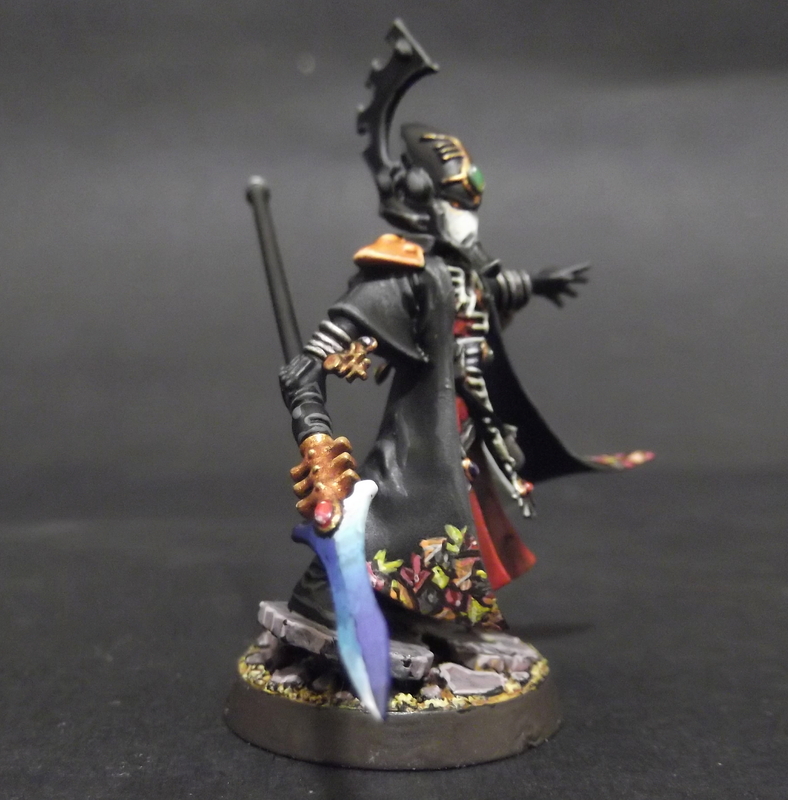 For one, the Eldar Farseer is a great model that’s easy to assemble and you can make it as complicated or as simple to paint as you want it to be. For another, it was a break from power armour that I really needed. As well as being a great miniature, tactically it’s very useful. 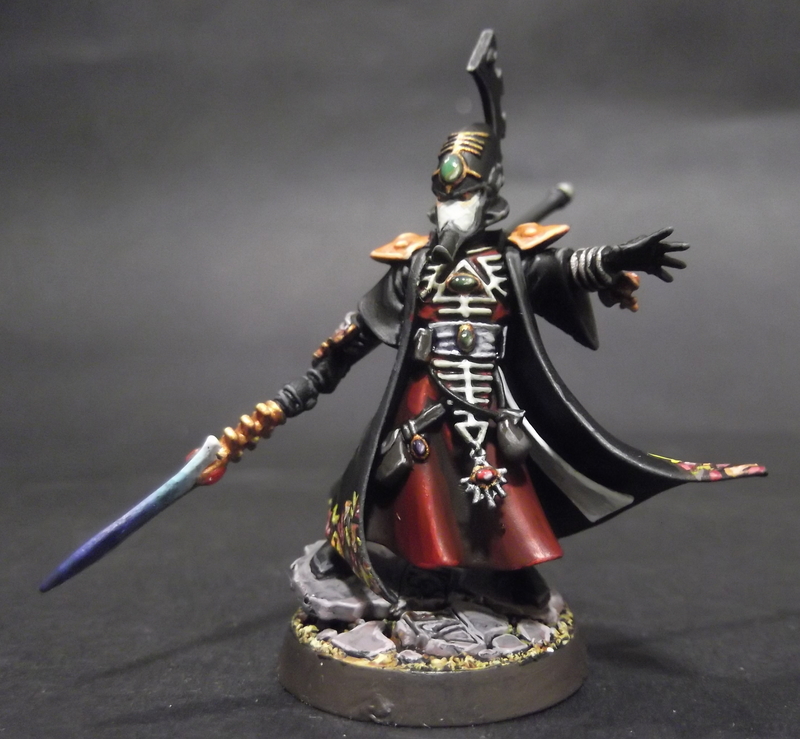 As well as being a really strong HQ in its own right, the Farseer gives my Eldar force a lot more flexibility. 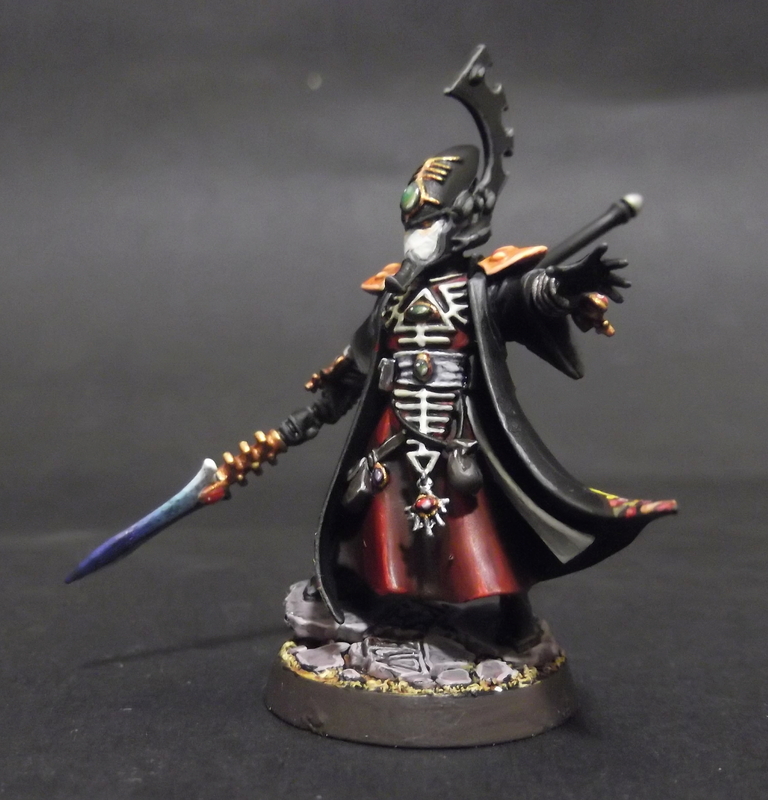 My only other two HQs are Karandras (great for my style of play but too expensive for small games) and a Wraithseer (who can’t be the one mandatory HQ in a force and still requires a minimum unit of Wraith Guard) so this guy gives me a cheaper option with some hefty psychic clout too. When I started out looking at the blank canvas of the cloak, I had the idea of falling autumn leaves. As well as being a great colour palette to work with, it resonates with the Eldar race being in the fading light of their existence. 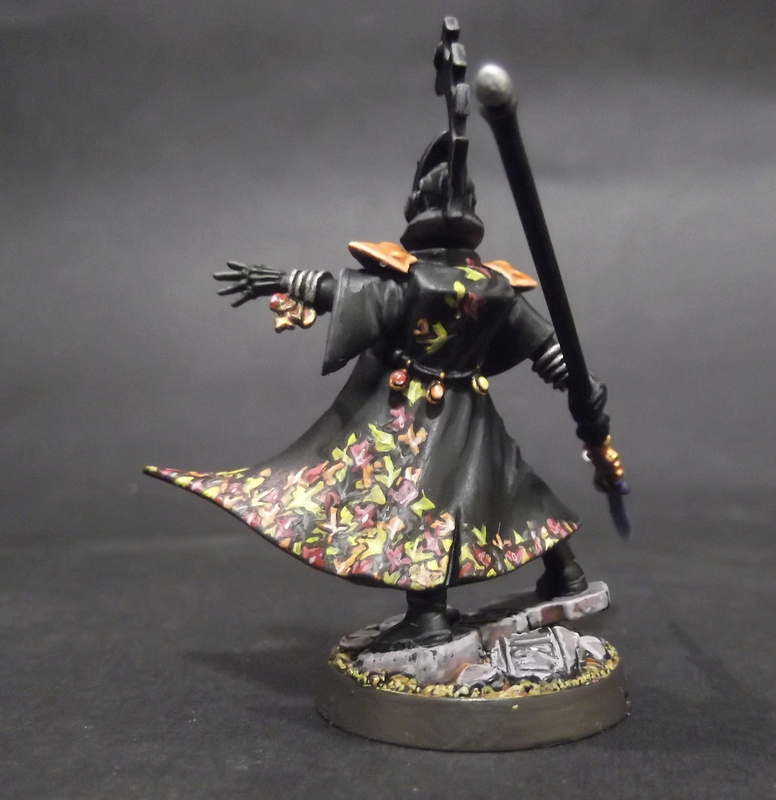 So I thought of all those falling leaves and that was what I wanted to put over the cloak. While I eventually rescued it at least to a level where I’m ok with it, it looked really ropey at some times. I met the level of my current abilities and this is where I’m really going to have to spend time learning. As for the rest of the miniature, I do a good spirit stone so I added a few with different colours around this mini. I don’t like overusing them as a rule, but I figured with one of the Eldar’s spiritual elite, I could use a few more than I usually would. I really enjoyed doing the blade on the singing spear – it was a complete rip off of my Grey Knights work, but it’s an effect that plays well and I enjoyed it. Oh, and I like the effect I got on those red robes too. Below are a couple more shots for you to enjoy. It was undercoated black, I used Citadel Paints throughout and I used a Windsor & Newton Series 7 Finest Sable 000 brush. Any comments or questions? Stick them below, please!